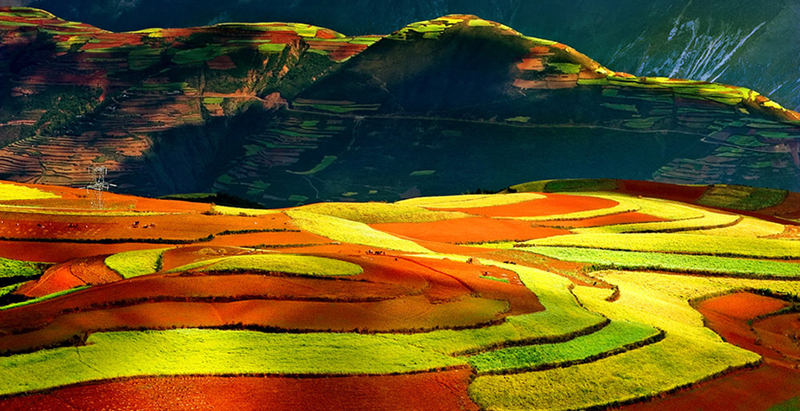 Dongchuan Red Land is located in Huashitou Country of Red Land Town in Dongchuan District, about 40 kilometers southwest of Kunming City. 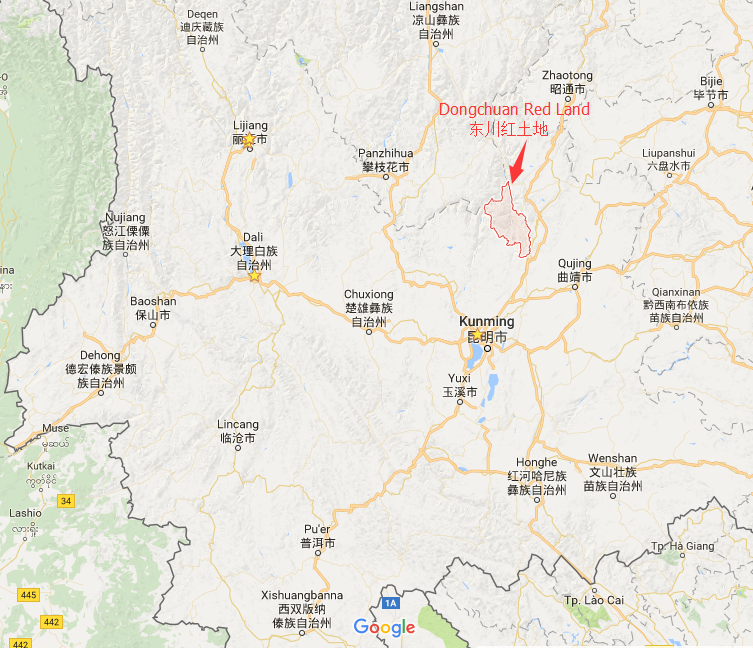 The Red Land here spans hundreds of miles, which is the most typical, lumped and featured red land in Yunnan. 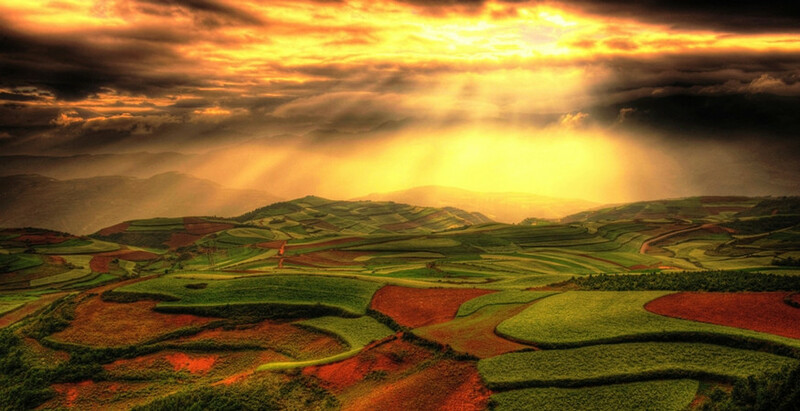 Due to the warm and humid climate, the iron in the earth has been oxidized and deposit year after year. 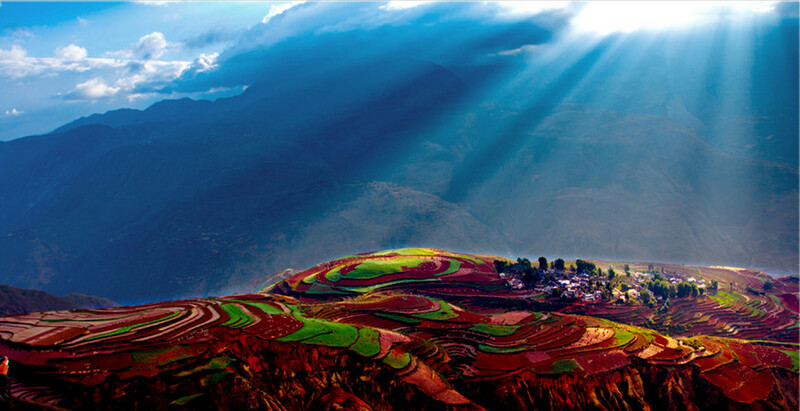 Every September to December, the bright red land with various crops, blue sky, white cloud and unpredictable light form the spectacular scenery hence the name ‘God’s Palette’. 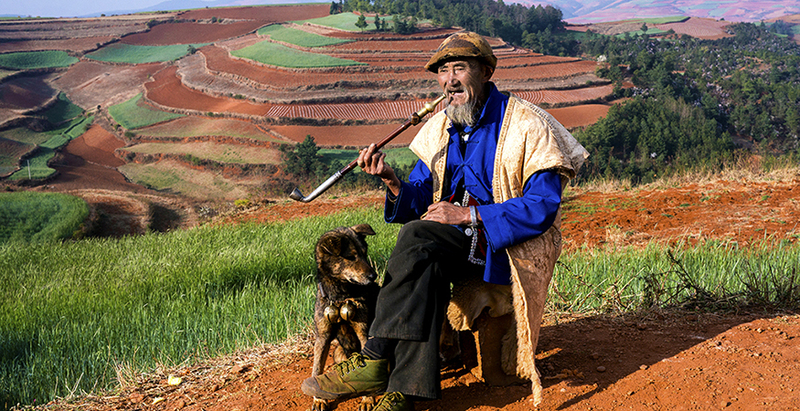 People can choose 2 Days Dongchuan Red Land Photography Tour which is one of the most popular Kunming City Tours. 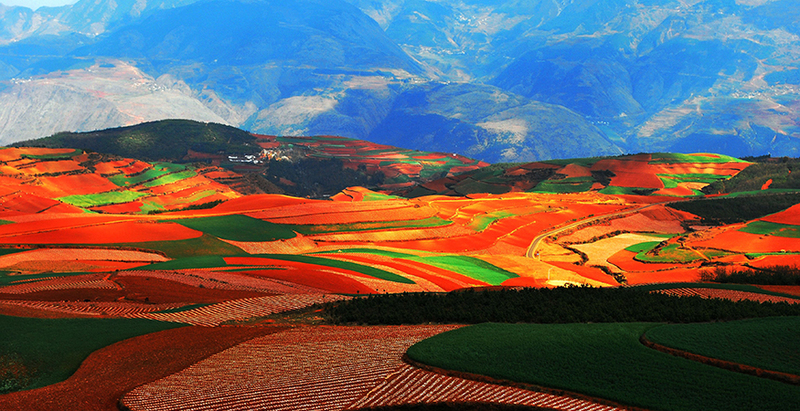 ▪ God’s Palette: Overlooking hundreds of miles of red land in wonderful splendor, all kinds of colors, just like the palette overturned, unfold a painting of magnificent natural scenery. 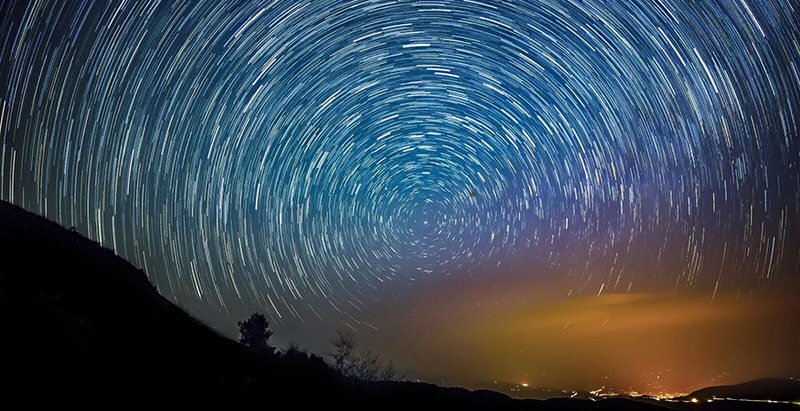 ▪ Brilliant Starry Sky: There is hardly light pollution in Dongchuan so that tourists can appreciate brilliant starry sky at night wherever you look up.